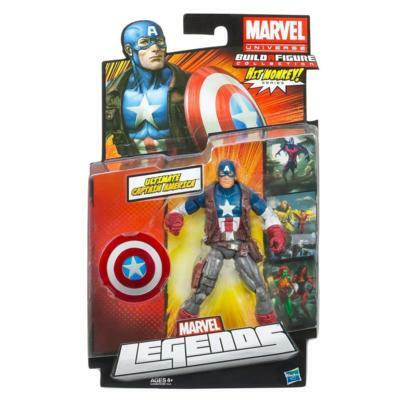 Product Description: This Ultimate Captain America figure is more than a patriotic superhero! He’s got the superpowers of the Avengers’ Super Soldier, and he’s ready to handle whatever mission you send him on. Arm him with his shield for your adventures! Collect the entire Hit Monkey series (other figures sold separately) to get the parts to build a full Hit Monkey figure! Power up with your Ultimate Captain America figure! Figure is brand new, ships immediately upon payment. SHIPPING IS FREE IN THE USA.